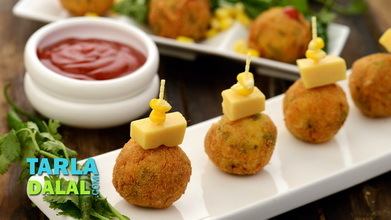 Spinach and cheese balls, this power-packed snack is made up of cheese and paneer, 2 dense sources of protein. 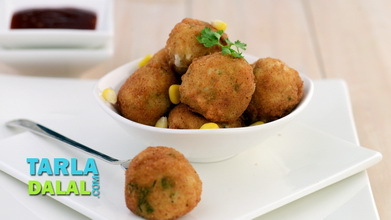 Paneer has a bland flavour and thus blends well with any ingredient. 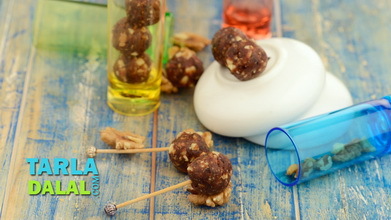 This recipes is sure to be enjoyed by people of all age groups especially the kids who love to munch on finger foods like cutlets, tikkis etc... so, this is a good way to sneak protein into their diet through foods that they love! 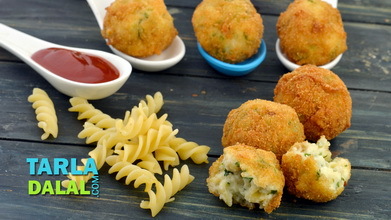 Combine the potatoes, paneer, spinach, salt, green chilli paste and bread crumbs in a bowl and mix well. 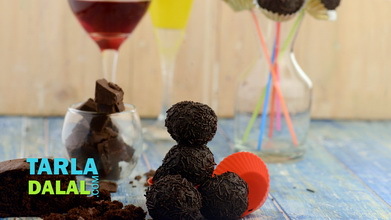 Divide the mixture into 12 equal portions and shape each portion into a small round. Press a little in the centre of each round to make a depression, place a piece of cheese cube in it and again shape them into a round ball. 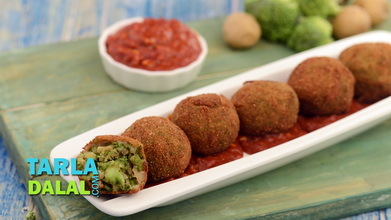 Roll the balls in the bread crumbs till they are evenly coated from all the sides. 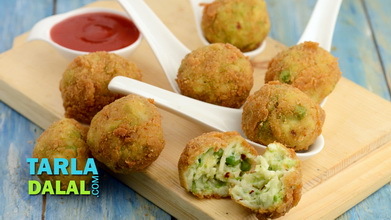 Heat the oil in a kadhai and deep-fry 3 to 4 balls at a time till they turn golden brown in colour from all the sides. Drain on absorbent paper and serve hot with tomato ketchup or sweet chilli sauce. 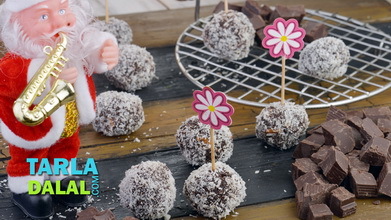 Insert a toothpick or a breadstick to make the cheese balls look more appealing to your little ones.